1. Balloon Spot Breakfast Cup & Saucer £16.00 [x] : This adorable cup and saucer set is already sold online as of doing this post, but I'm not surprised look how pretty it is! You can still find it in some selected stores though! 2. Balloon Spot Pram Blanket and Rattle £20.00 [x] : This little gift is making me wish I knew a baby just so I could give them this for Christmas. Why is it so cute? Plus I'm obsessed with this spot print. 4. Bramley Sprig and Friends Double Zip Pencil Case £8.00 [x] : Pink is one of my favourite colours so I love this double zip pencil case. Plus with uni around the corner I have all the excuses to buy stationery. 5. Balloon Spot Book Bag with Gusset £18.00 [x] : Looking for a cute little tote style bag to carry books around in? Then look no further than this cute spot book bag. I'm in love. 6. A Day In The Hundred Acre Wood Brushed Flannel Set £50.00 [x] : Let me tell you right now I was so tempted by the thought of buying some pjs from this collection, but I managed to resist somehow. They're so lovely and girly though (there are other sets too) so I'd definitely recommend buying a pair. 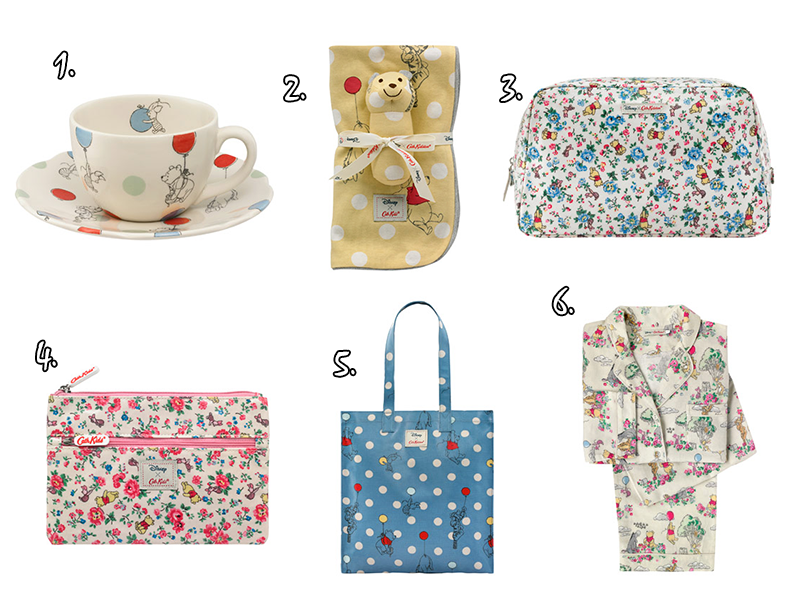 Didn't even know that there was Winnie the Pooh an Cath Kidston collab to begin with! WTP was my childhood favourite ever and it's a long and lasting love <3 HOW CUTE ARE THOSE PJS!!!! I really want them for Christmas now. Imagine waking up in these..... ahhhhh! Oh my goodness, the flannel pj's are just too cute! They'd be perfect for cosy nights in during winter!